In the United States, single-family houses for rent represent the largest real estate investment asset class, valued at approximately $3 trillion. This figure outstrips the multifamily rental market of approximately $2.5 trillion and dwarfs all of the other categories. This makes the opportunity in single-family homes quite a substantial one for investors. Building a real estate portfolio is something that can benefit every type of real estate investor, but the advantages of structuring your portfolio to include single-family rental homes drastically outweigh those of a multi-family investment for these five key reasons. Combining your investment capital with financing helps increase your buying power and opens up an opportunity for you to make greater returns on your property investments. You can invest in more properties, at one time, with the same amount of money, yet yield quadruple the returns. For example, if you have $200,000 that you’re looking to invest, you could simply purchase $200,000 in stocks. But you could also use that same amount to invest in four separate single-family rental properties (by putting $50,000 down on each one and financing the remaining amount over the long-term of your investment. This quadruples your potential return on investment (compared to a single property) and diversifies your property investments across several markets. Diversifying your investments helps protect your investment from market fluctuations that could impact any individual location. Single-family rental homes comprise more than one-third of all U.S. rental properties — about 16 million currently, with another 13 million new rental households expected to be formed by 2030. Since U.S. housing stock is not keeping up with this future demand, the sector should enjoy a significant tailwind given these favorable supply/demand trends. 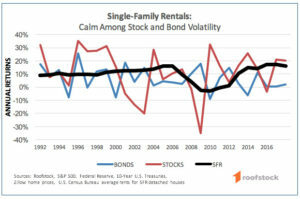 Not surprisingly, demand for single-family rentals is at an all-time high and showing no signs of slowing. 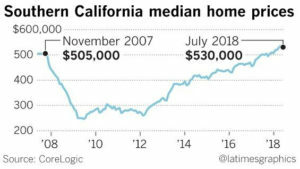 The Southern California median home price slipped in July from June’s record high, but it was still up 5.8% from July 2017, according to data released by real estate firm CoreLogic. Single-family real estate investments are ideal for people who want to create supplemental income for retirement, but that’s not the only area where real estate investments excel. If an investor targets SFR properties in the markets where the rental space is rapidly expanding due to population growth (and a diminished interest in home buying) the annual investment returns can also be substantial. This ongoing stability means you can use these investments to supplement other riskier investments you may have in your portfolio to ensure long-term profitability. Real estate investing often acts as a hedge against larger economic trends. Single family home values and rental rates are more influenced by local economic conditions than national shifts. If you pick properties in an economically vibrant area, your single-family home investment can grow even in lean times, and data supports that single-family investments can offer the same returns as stocks, but with less fluctuation and volatility. As a single-family real estate investor, you can also enjoy some tax breaks by holding onto each property for at least one year as you build your portfolio. This is a long-term investment, and if you keep a property for more than a year, you’ll qualify for heavily reduced, long-term capital gains taxes when you do decide to sell that property in the future. Single-family real estate can also provide tax breaks through depreciation. 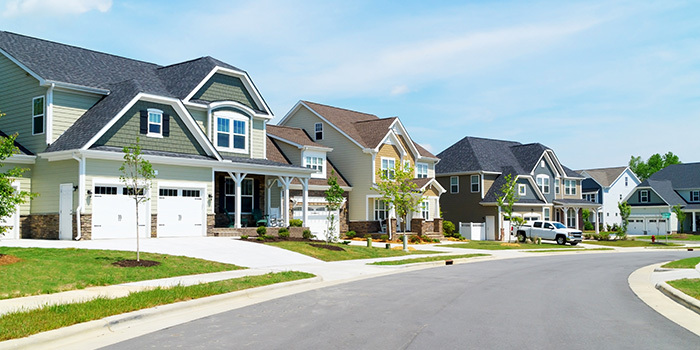 When you’re investing in single family homes that you intend to rent for additional income, you can take an annual tax deduction equal to the value of the building itself divided by the years of useful life for the structure. First Bridge is local to California and understands just how the single-family real estate market is trending where you’re looking to buy. For more information on First Bridge Lending and our lending practices, please contact us directly by calling 949-373-5910 for our Newport Beach office and 415-366-1235 for our Petaluma office. We look forward to helping you with the next single-family investment for your portfolio.